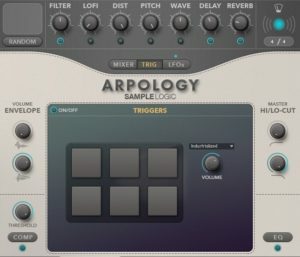 The core of ARPOLOGY has been designed around Sample Logic‘s award winning invention, the powerful Step Animator™ – a step-sequencer and arpeggiator fused into a single engine for animating complex melodic and rhythmic patterns on a per-step basis, eliminating the limitations of traditional sequencing. Requires Kontakt 5 (Player) or the Kontakt 5.5 or higher. 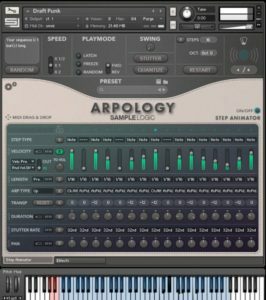 ARPOLOGY comes with over 5 GB of high-quality samples and includes more than 550 ready-to-use Kontakt single and multi instruments. The available sounds are very numerous and can be used in many music areas. 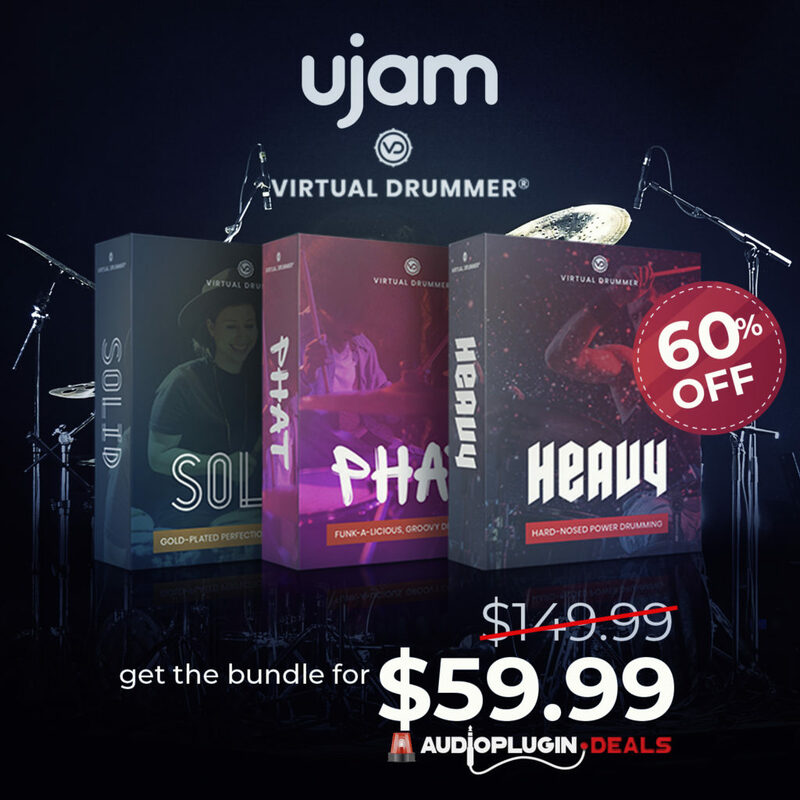 Musicians can find here very beautiful percussive sounds, instruments that fits good in ambient tracks or even every rick an fat sounds which mainly works perfectly with soundtracks. Above all, I loved the percussive and synthesized sound selection in this library. 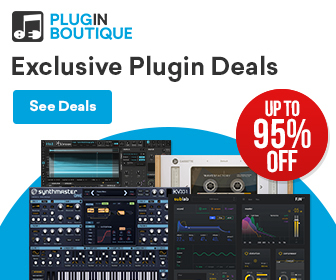 Not only film composer can benefit from this wide selection of sounds, but also electronic musicians can find here maybe a perfect complex an unheard tone. With more than 550 presets in the library and very complex sounds, musicians have long time a tool to play with. The sound quality is as usual in Sample Logic products very high and all available presets are very good useable. But you have to bear in mind that the library usually costs $400 and thus nothing else can be expected. Another result would certain have been very disappointing. 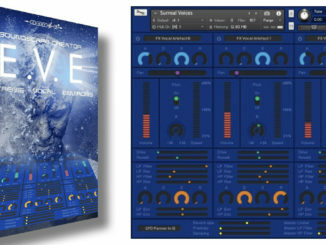 On the one hand, ARPOLOGY can glow with an excellent sample content, but where this library has the greatest strength is the massive user interface build-in Kontakt 5 Player. 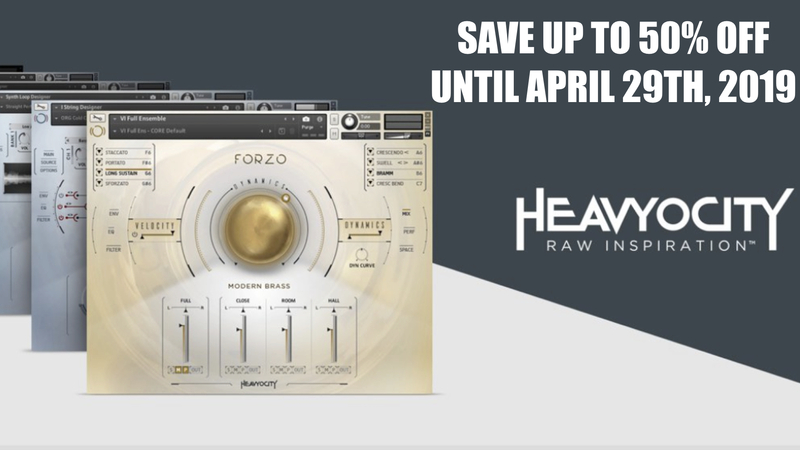 It features an advanced and very complex arpeggiator/sequencer with several very creative functions. For example, you can adjust for each step whether you play a note, spin it with a stutter effect or glide it. Very interesting for me is the stutter function which allows to build very complex sequences with a certain kick inside. If you had to explain the whole sound technically to an audible level, it reminds me on glitch elements. So you get a bit of noisy rhythmic elements in your sequence with this nice feature. An additional sound design feature is the advance usage of the velocity in this sequencer. You can adjust here the velocity per step that allows musicians to design very vivid rhythmical sequences. Even more interesting is the next parameter were you can determine per step how fast this should be played. 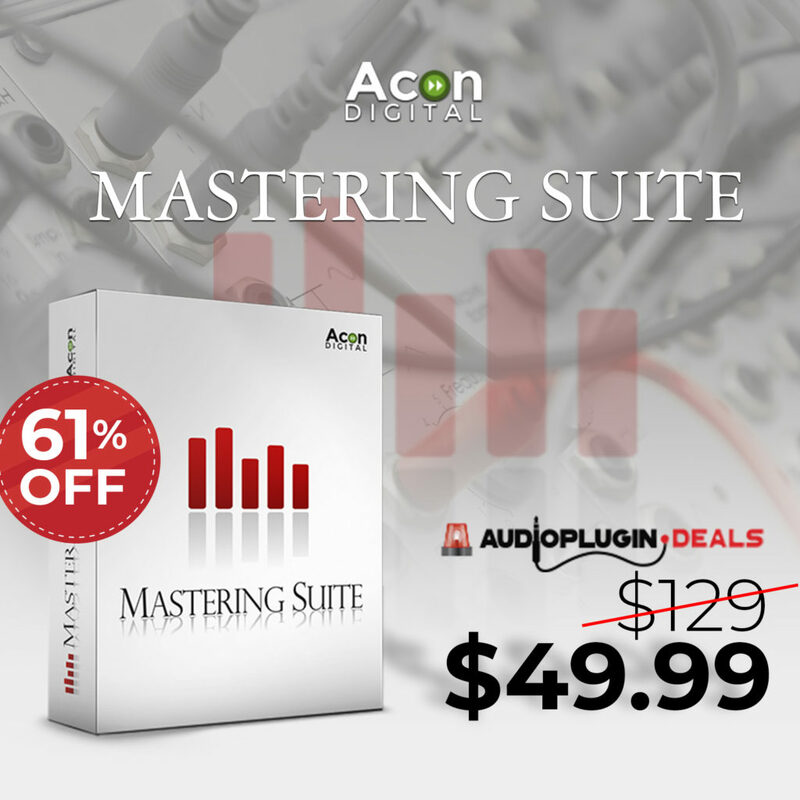 This allows you to create a certain decelerations in your melody. Easy say: if you change the tempo of some of the steps so you will receive quite complex rhythmical patterns. With further parameters, you can enter even deeper into the behaviour of it. For longer melodies, musicians can design here sequences with up to 128 steps. 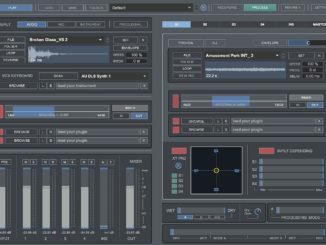 This gives sound designers a nice playground to build long evolving melodic sound textures. 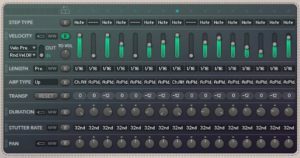 What I like also here is that you can adjust the sequencer so slowly that it sounds no longer like a typical sequencer sound but more like a deep texture where you can hear how the sound slowly changes. 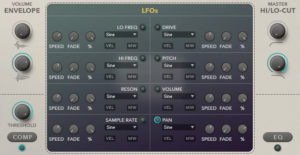 For more modulation possibilities, you have a complete LFO section where you can modulate up to 8 different effect parameters. Also important to know is that the interface supports drag & drop MIDI support for the sequences. 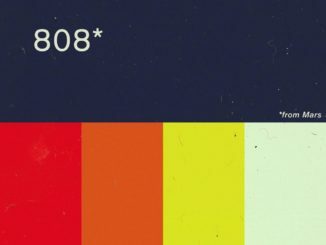 Sample From Mars Released 808 Sample Library For FREE! Hi Fredy. 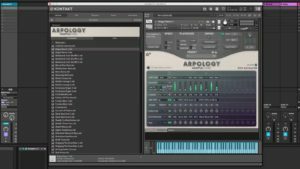 ARPOLOGY is a sample library for the Kontakt 5 Player. Don’t have experience with Sibelius but I thin it has AAX support so you can install the Kontakt 5 player in Sibelius. You receive 550 instrument presets which you can use directly and don’t need to create new once. Hope this helps.